Our beloved Lionel, maker of model trains for over 100 years, filed in New York for Chapter 11 bankruptcy protection on November 15, 2004. 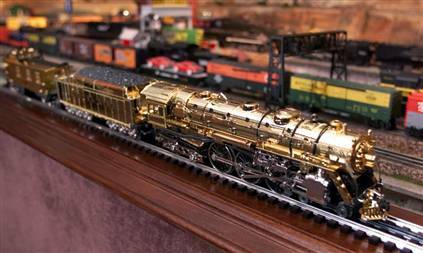 The filing came weeks after a federal judge approved a $40.8 million judgment against it for stealing designs from MTH Electric Trains, Lionel’s Maryland-based rival. The 100th anniversary gold 700E J-1E Hudson engine is shown at Lionel Headquarters in Chesterfield Township, Michigan, in September, 2000. Lionel filed for Chapter 11 bankruptcy protection on November 15, 2004.